J.M.L Landscape Development is an award winning Columbus hardscape and outdoor living company that strives to make the outdoors as much a part of the family as the indoors by creating well planned and skillfully crafted outdoor living environments that add beauty, value, and versatility to your home. Landscaping is one of the most valuable assets for your home. When you professionally landscape it benefits you, your neighbors, home sellers, and potential home buyers. Money Magazine estimates that you can expect to recover 100% – 200% of your landscaping costs when you sell your home, if done right. Your landscape is also the first impression everyone sees when arriving at your home. Allow us to make sure that first impression is a positive, lasting one. As skilled designers and builders with over 20 years experience we strive to provide form and function. The design of your landscape should reflect you and your lifestyle, whether you’re an avid entertainer, enjoy barbecue, or just love relaxing in your outdoor retreat. We look forward to expressing the individual taste of each and every client by creating the perfect environment for you and your family to enjoy for years to come. Working with one person throughout the design and construction of your project ensures important details (subtle and otherwise) are not compromised during the development of your project. We bring a high standard and a strong reputation for quality work to Columbus and the central Ohio area. J.M.L Landscape Development’s primary focus and passion is outdoor living, which includes paver patios, paver sidewalks, paver driveways, paver pool decks, seat walls, retaining walls, water gardens, outdoor kitchens, garden structures, pergolas, arbors, landscape designs and installations. We take pride in working with you from planning and design to the completion of your project. We believe the best client is an informed client! We understand you’re not just buying a product; you’re making an investment not only in your home, but your family as well. The value of your hardscape investment is greatly increased when a certified hardscape/landscape contractor is used for construction. Durability is the cornerstone of your hardscape project. The ability of your pavers and walls to withstand and endure the changing seasons we experience here in Ohio is paramount for you to get the most value from your investment. J.M.L Landscape Development has been educated and certified through the Interlocking Concrete Pavement Institute (ICPI), which is the world’s leader in interlocking pavement installation education for landscape contractors. Knowing a contractor that is ICPI certified is the first step in knowing you’re not dealing with an unqualified contractor. Professional Installers produce professional results. 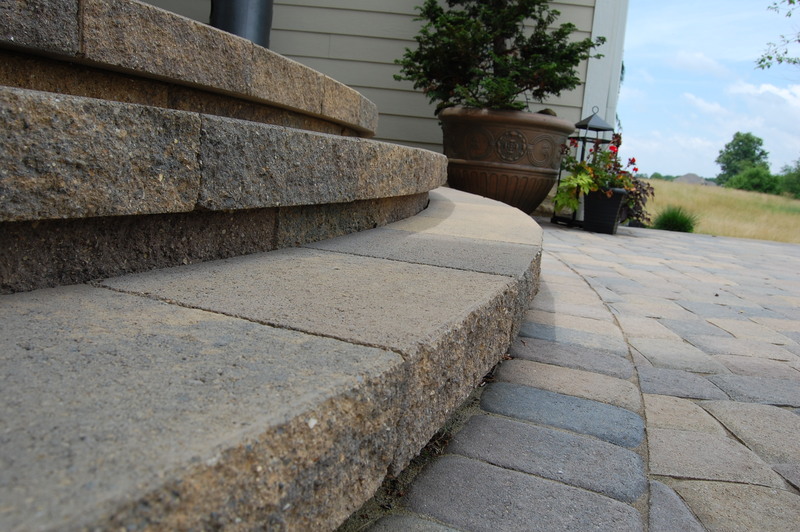 J.M.L Landscape Development is also a Unilock Authorized Contractor that must meet strict initial and yearly qualification standards to be included in the program. All of this guarantees you high quality craftsmanship, dependable service, and insured, experienced professionals with the knowledge of outdoor living trends and new products as well as a J.M.L Landscape’s 5 year hardscape workmanship warrantee together with Unilock’s transferable lifetime product warrantee. We invite you to call on us to design and build your hardscape & landscape. We are confident that you will be pleased with the results!